Soubry goes ballistic in new interview! 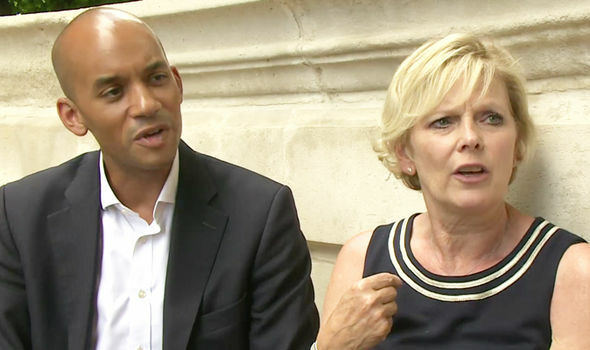 Over the weekend Anna Soubry joined forces with Labour's Chuka Umunna to state that the commons will vote to stop Brexit if they don't like the deal. Originally MP's were not meant to get a final vote on the deal until Gina Miller launched a legal campaign against this. With George Soros and other billionaires pumping significant amounts of money into the remain campaign it appears that they are increasingly emboldened and Soubry now speaks on behalf of Tory remainers of which the numbers are growing significantly to give her the confidence to speak in this way. On the Andrew Marr show Soubry said indignantly: "If this government doesn't get this right, the majority of members of parliament, putting their constituents first, will find themselves unable to vote for a withdrawal agreement. Not only is it bad for our economy but it also fundamentally undermines the [Northern Ireland] peace process that was achieved and this is really important." Umunna responded by agreeing: "There is no majority in the House of Commons for us simply to jump off a cliff." Lib Dem leader Vince Cable who wants another referendum said with glee: "It is good to see cross-party cooperation between Tory and Labour rebels. I am optimistic that the rebellions in both Tory and Labour parties will spread in coming weeks" He also responded that the House of Lords will be taking a more unified stance against Brexit. Do you agree this is an outrage?! Read: "Airport closed due to unexploded bomb"
Read: "British Pensions lowest in Western World"